On the surface, finding a UK conference venue or meeting room seems simple. After all, you just need to find a location, right? Not necessarily. Once you begin your hunt for meeting rooms in central London you will notice that there is much more to it than simply using Google. To help you isolate the best Edinburgh conference centre, we've listed five quick tips to finding meeting rooms below. #1. Make Sure Wi-Fi is Available! Wi-Fi is critical for a meeting. To save your team from soaking up data like a sponge, it's a good idea to contact the venue to see if they offer free Wi-Fi. If they don't, you may be better off skipping it and choosing a venue that does. Additionally, Wi-Fi is important for certain videos and slide shows that require internet access. Keep this in mind with meeting room booking. #2. Inquire about Food Options See if there are catering options available for the space you've selected. If not, ask if there are any documents you need to sign to use an outside catering service. The last thing you want is a team of hungry folks trying to understand your speech. #3. Room Flexibility Will you be allowed to change up the layout? Are there are additional chairs and desk space available? Prepare for a variety of scenarios if you want your meeting to go off without a hitch. #4. Ask About Staffing Options Will you have support from the venue itself? Do they have plenty of on-site staff to set up the room, get coffee etc.? If not, you may be forced to pay for these services yourself. It's therefore a good idea to factor this into the equation when making your final decision. #5. Negotiate Don't be afraid to negotiate on pricing. Let the location know that you are looking at different venues in the area. This contributes to lower pricing from the meeting rooms you're considering. Don't worry, it's completely ethical as well. 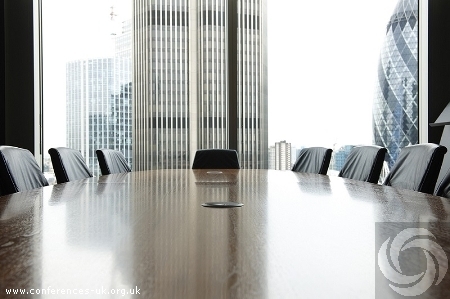 If you're looking for a UK conference location or meeting rooms in central London, don't hesitate to use these 5 powerful tips. You'll be glad you did!